The Vibe 550mm ceramic basin and pedestal is styled to suit most modern bathrooms with its contemporary squared lines and smooth curves. Its short projection makes it an ideal solution for smaller sized bathrooms. Manufactured from high grade ceramic and finished in gloss white. 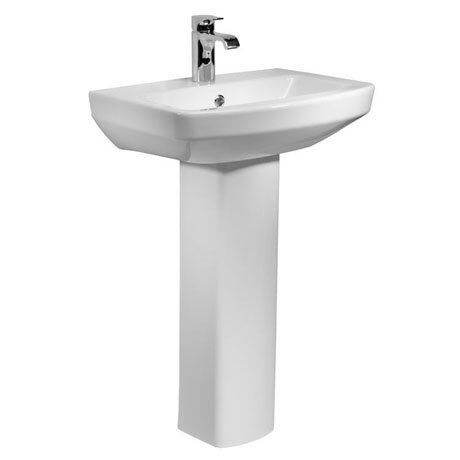 The basin comes paired with a full pedestal and features a single tap hole for use with a basin mixer and an integrated overflow.